TruckSuvidha, startup in trucking and transportation space announced as the winner of Hot100 technology Award organized by CORE (Centre of Recognition & Excellence). CORE felicitated innovative & best startups in India in consumer internet, B2B and SMAC (Social, Mobile, Analytics, Cloud) during a ceremony held at Mumbai, Maharashtra on December 15, 2015. The Hot100 awards provides a great showcase for start-ups in the tech sector and a great networking opportunity, with an expected attendance of over 200+ delegates – mainly tech entrepreneurs, CIOs and CTOs of enterprise companies – both angel investors and VCs, plus tech consultants and commentators. Hot100 Technology Awards program uniquely recognizes outstanding start-up achievements by Indian entrepreneurs. All the startups who were nominated invited votes which was added in the final jury marks. This jury selected the award winners based on structured metrics based evaluation process. 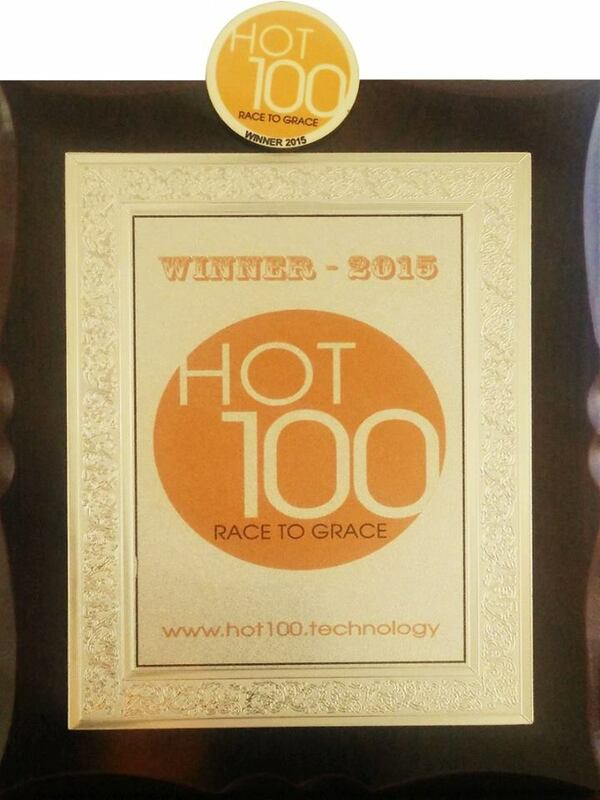 TruckSuvidha, Haryana based startup were selected as a winner of Hot100 technology awards from a pool of hundreds of best startups in India by the eminent Jury. Mr. Navneet showcases TruckSuvidha and attended the award ceremony on the behalf of TruckSuvidha. The BSE chief Mr. Ashish Chauhan honoured TruckSuvidha by giving the shield. Selection is made based democratic online voting basis their technological innovation, team strength, opportunity size, and product value proposition. TruckSuvidha is an online platform connecting transporters, industries, logistics & truck drivers for the timely and effective communication. It is founded by Mr Ishu Bansal, a software engineer by profession in partnership with Mr Amit Punaini in 2014. Amit Punaini is a businessman by profession who is always passionate about new ventures. The main idea is simple yet unique. In the era of e-commerce websites when people can book almost everything online ranging from a movie ticket to an airplane seat, why isn’t it possible to book a truck online? The logistics industry is vast with all the required resources but still the demand is not being met. We plan to act as the bridge between the customer and the transporter as we faced a lot of trouble while booking a truck online for our business. This was the driving force behind this venture. Pageswype featured TruckSuvidha : A solution to Goods Delivery woes!